What if there had been NO Christmas? One of the late Senator John McCain’s prisoner of war experiences was shared in memorializing him. It was Christmas Eve and he had been tortured. His hands and feet were tightly bound with course rope. The pain was excruciating and with no circulation, he would have lost his hands and feet by morning. Then a lone guard appeared and loosened the ropes. He did not say a word but drew a cross on the dirt floor and quickly erased it with his boot. It was his way of telling John that he was a Christian and it was Christmas. What if there had been no Christmas? We would not have this special time of the year where people reach out in ways that they normally would not. Stories abound about Christmas “miracles” – many are simply good works, acts of Christianity. Without Christmas there would be no Christianity. Yes, Christianity including Catholicism, is responsible for some wicked acts. These are not condoned by God but are acts of men abusing their powers in the name of God. These are not the messages sent by the Babe in the manger. Jesus wants us to love one another and to take care of one another. A special young lady, Lailah Gifty Akita said: “We must serve each other in love and in humanity.” This describes the Casa Franciscana Mission which is not just a group of old buildings but you, the staff, the people served, the members of Sky Cross who buy food each month, Dollies Making a Difference, an organization that provided for children’s dental care and on and on. Above all, it is the Holy Spirit guiding us. If there had been no Christmas and no Christianity, there would be no Casa Franciscana Mission. Thank You, Lord, for giving us Christmas and the good people who, together, assure there is a Mission to serve those in need. God bless you, everyone! 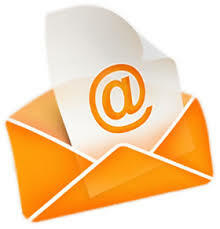 to receive the Casa Franciscana Newsletter delivered to you via email! You may also choose to receive updates about our Pilgrimages to our Franciscan Mission in Guaymas and/or receive more information about becoming a CFO Volunteer.